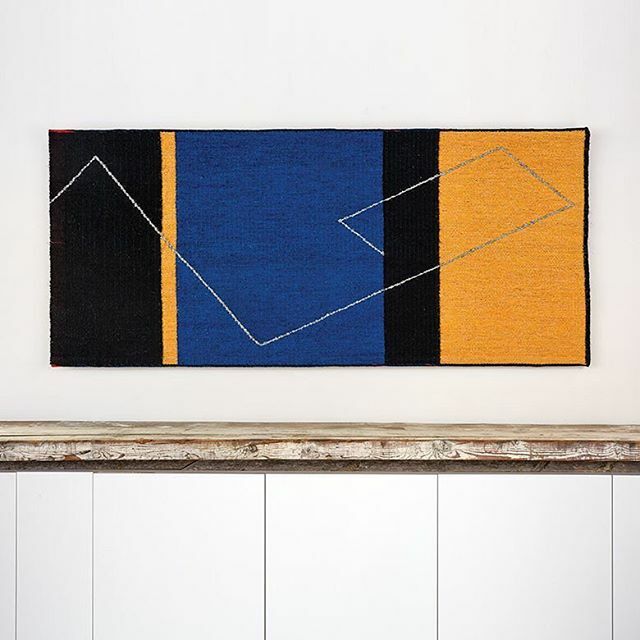 We started off October with Yellow, Blue and Black, a tapestry made by Danish artist Gudrun Pagter. 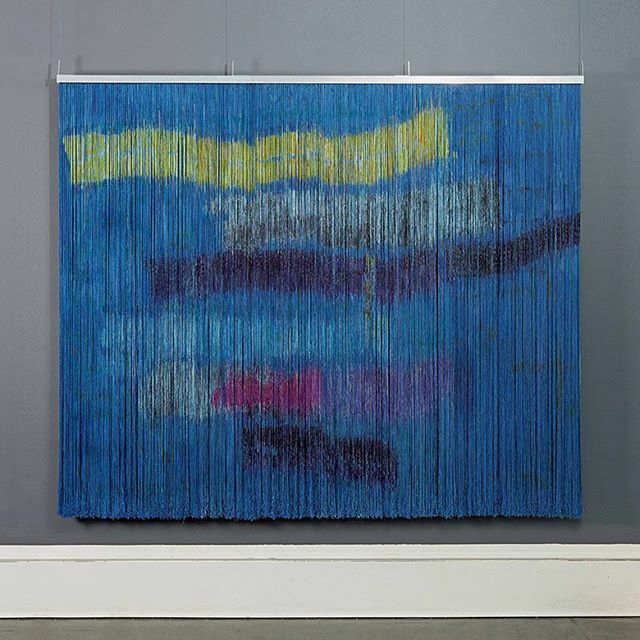 When making tapestries, Pagter draws inspiration from architecture, using lines and shapes to achieve spatial tension. “I am engaged in a constant process of exploring the picture through a highly disciplined structuring of geometrical form elements and lines through a restricted color spectrum,” states Pagter. The expansive gray line in Yellow, Black and Blue not only creates a sense of movement but also “transforms a two-dimensional plane into a three-dimensional space.” Despite the name, there are actually many colors in Yellow, Black and Blue; Pagter mixed in light pink and yellow linen threads with the yellow sisal, deep green flax with the blue sisal and blue and black flax with the black sisal. Incorporating other colors into Yellow, Black and Blue helped Pagter to bring the tapestry to life. Jin-Sook So’s Black 15 Boxes immediately grabs the viewers eye with its grid-like structure. In Black 15 Boxes So creates a grid pushing each of the 15 electroplated gold boxes off the wall, giving them a two-dimensional quality which flattens the boxes without completely altering the perspective. While the ability to peek inside So’s boxes and bowls captivates the viewer, the material’s ability to look like paper, silk and steel bend the viewer’s perception. When making Biagga (Sea Wind) Ulla-Maija Vikman was inspired by his material, linen. The vertical threads create their own natural rhythm complemented by their horizontal patterns. Vikman paints and repaints the threads two or three times in order to get the tones he desires. Vikman always hangs his work off the wall to give the impression of a free fall. The slightest breeze or draft moves will move the threads, altering the light and form of the piece, having a kinetic effect that brings the work to life. Federica Luzzi’s work focuses on nature, specifically leaves, bark and plant seeds. 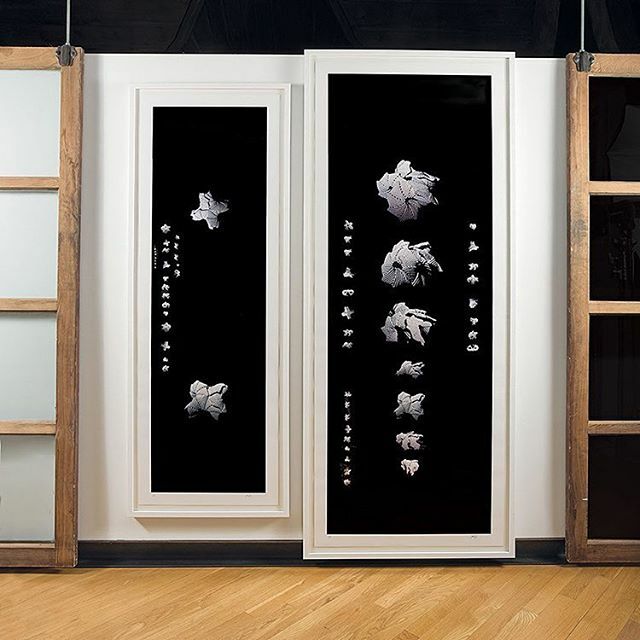 Above all, Luzzi is fascinated with plant seed, it is for that reason all of her work features the title Shell. “I am interested in their small and sinuous shapes, which assure their mobility from trees, and in their vital capacity of shutting themselves until the moment they mysteriously wake up, the seeds like ‘sleeper beauties,’ ” states Luzzi. The White Shell Tongue prints were born after a variety of conversations with researchers at the National Institutes of Physics in Frascati about the concepts of dark matter, antimatter, nuclear, subnuclear physics and the particle accelerator. The prints “suggest a primordial voice, speaking in a language now unknown to us but original, a pure, reductive writing externality, with wrappings and empties shells,” Luzzi explains. The vertical loom and tapestry art tools allow Luzzi to work with vegetal fibers from their frame to three-dimensionality. Luzzi’s works are presented like a dimensional installation as if they are fragments of a galaxy: macrocosm and microcosm together. Federica Luzzi’s work focuses on nature, specifically leaves, bark and plant seeds. 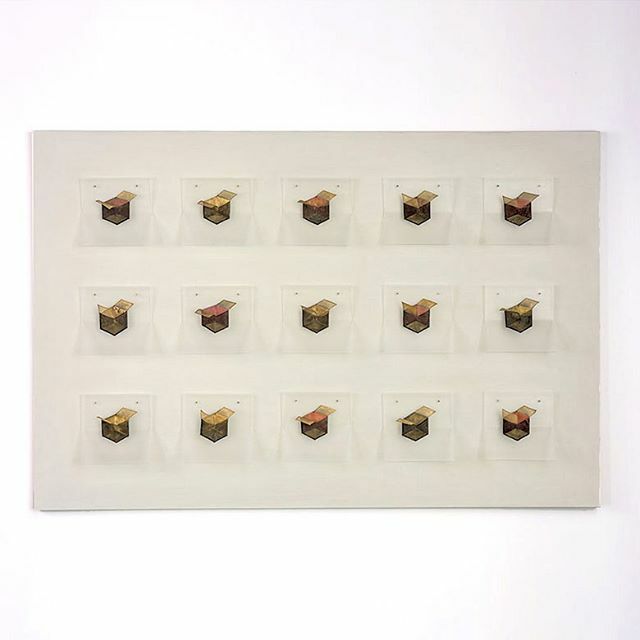 Above all, Luzzi is fascinated with plant seed, it is for that reason all of her work features the title Shell. “I am interested in their small and sinuous shapes, which assure their mobility from trees, and in their vital capacity of shutting themselves until the moment they mysteriously wake up, the seeds like ‘sleeper beauties,’ ” states Luzzi. The White Shell Tongue prints were born after a variety of conversations with researchers at the National Institute of Physics in Frascati about the concepts of dark matter, antimatter, nuclear, subnuclear physics and the particle accelerator. The prints “suggest a primordial voice, speaking in a language now unknown to us but original, a pure, reductive writing externality, with wrappings and empties shells,” Luzzi explains. The vertical loom and tapestry art tools allow Luzzi to work with vegetal fibers from their frame to three-dimensionality. Luzzi’s works are presented like a dimensional installation as if they are fragments of a galaxy: macrocosm and microcosm together.